We, humans, love to see the world. Frequently, we use cars for transport. And we like to take our four-legged companions on the journey with us. Why must you have a car seat for your dog? It’s a self-evident thing to have a special seat if you take a human baby with you, however, a lot of people seem to neglect the fact that you can think of even more reasons why they’re necessary for your pet. Have you ever had to take off your hands from the steering wheel just to ensure the dog doesn’t climb over to the front seat or disturb you in some other way? It’s likely you’ve experienced this, and even if not, you should not wait for it to happen to prove the point – the dog can be a bigger distraction than a baby. If you’re still unsure of the risk, we suggest you dive into this study of risk factors when driving with pets. Secondarily, we have to discuss the comfort here. Sure, if your the destination is just a couple miles away from your home, the dog might squeeze at the helmsman’s or elsewhere, however, you mustn’t deprive your pet of a decent spot if you’re traveling bigger distances. HM tip: Car booster seats are mostly intended for small to medium-sized breeds (40-50 pounds max). For the larger dogs, such as German Shephard, you’ll want to look into dog car harness specifically. Additionally, if you own a relatively small dog breed, a proper dog booster seat will help it breathe a fresh air and see outside the window as they elevate the level of the seat so that your companion can view outside whilst staying seated in one (comfortable) place. Lastly, you just want your car seats and overall interior to stay clean and not torn apart. Once more, this is where the special car seats for dogs come into play to save the day again. How to choose the best car seat for dogs? Now that you know how underestimated the car seats are and that you actually must have one to transport your four-legged companion, it’s time to realize what exactly you must consider before purchasing such item for your pet’s comfort and safety (and, frankly, your own simultaneously as well). Safety-wise, you have to get a booster seat that has a solid attachment to the car seat itself. Also, the security leashes should be adjustable and latch to the dog well to make sure your dog is seated safely. Comfort-wise, while the leashes should latch well to your pup, the seat must be spacious enough so that it is able to both stay up and lay down to take a nap. NOTE, however, that this pretty much applies to car booster seats only. And car booster seats are mostly intended for small to medium-sized breeds (40-50 pounds max). For the larger dogs, such as German Shephard, you’ll want to look into dog car harness specifically. We may cover that in a separate article; Look for the end of this top list to see one quality booster-type seat if you still want to get one for your larger companion. In addition to all this, it’s good to have a booster seat that is high enough allowing your companion to look through the window and get some fresh air. With all the criteria in mind, let us now take a look at the most excellent car seats designed for dogs. Our favorite, K&H Manufacturing Bucket Booster Pet Seat comes with all the main qualities we described essential and for a very appealing price compared to some of the other dog booster seats of the same caliber. It keeps your pet restrained very well when driving, yet, is also one of the most comfortable seats for dogs on the market today. It can be used both in front and back seat. We also like that the opening at the front of the seat allows your dog to get in and out easily making it very gentle for the joints. We appreciate the fact that it’s washable and includes not one but two adjustable leashes for security (the picture may give a false impression there’s only one). The elevation is sufficient for most breeds; Could be higher for the smallest breeds, though. Overall, the security provided by the dual-straps and comfort enhanced by the quality foam cushion is second to none, and we highly recommend this product to any dog up to 40 pounds (if you own one less than 20 pounds, consider the smaller size). HM tip: It’s seldom we say this, but consider this dog booster seat both the overall best and best price for value available on the market now – we highly recommend you get one unless you own one of the tiniest, such as Brussels Griffon, dog breeds who like to see the surrounding out of window well without having to kind of stretch and look up. This is more on the expensive edge, however, the comfort provided for your pup is truly magnificent – no matter which size and design you choose (there are several options to choose from), your traveling companion will be satisfied thanks to the pleasant lamb’s wool interior and foam form it’s made of. The largest size supports dogs up to 40-45 pounds, however, thanks to the great design, it can also support two smaller dogs each up to 20 pounds or so. Also for this model, we appreciate that the material is washable and won’t lose its quality because of that. There are plenty of colors (even the designs vary slightly) to choose from to satisfy the pickiest customers. We’d like to point out, however, that for safety purposes we would actually suggest to take out the comfy pillow stored in this seat. Sure, it makes an excellent bed, however, were not discussing the best beds for dogs here, although comfort, undoubtedly, comes into play as well. 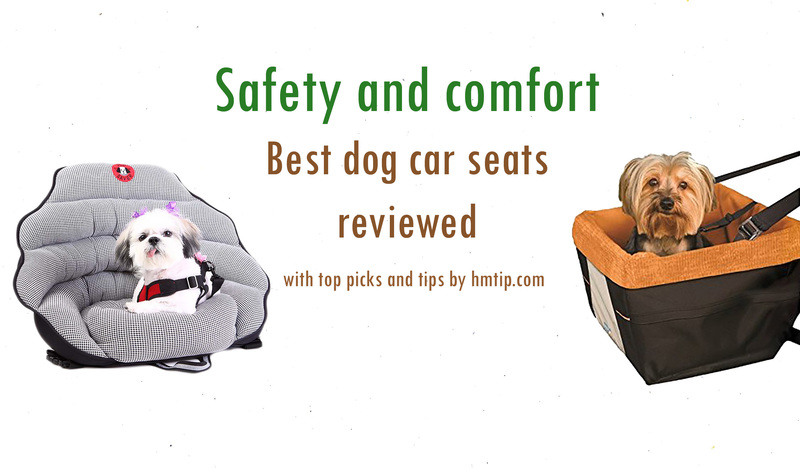 The bottom-line is, this can serve as a great dog car booster seat if set up correctly, however, the question is, are you willing to pay two times more for the same features our pick No. 1 has? We have to admit, however, that this is a better solution if you own two small dogs and intend to place them in one seat. HM tip: Consider this an excellent choice if 1) the price tag is not an issue for you, 2) you like the aforementioned features and extras, and/or own two small pups who could share the booster seat. As this is a rather “tight” seat, we encourage you to take a closer look at the measurements of the seat and your companion. With that being said, it is still quite comfortable because of the design and material it’s made of (soft fabric). Unlike our pick No. 1, there’s only one security strap. Another drawback for some might be that you have to be very careful when picking the size, otherwise, you’re dog won’t be able to lie down and move so comfortably. Nevertheless, we rate this product quite high as we really like the fabric (and it seems many dogs feel the same way if an appropriate size is chosen). We also like the high side that prevent your pup from jumping out and also serves as a nice support for the body. Non-skid bottom is also well-made (for safety purposes). Overall, a really nice quality product by Snoozer solid for the smaller dogs. HM tip: We suggest you pay close attention to the measurements and see if it fits your dog. Otherwise, it’s a well-built dog booster seat for small dogs. This is a solid budget option for a pup up to 25 pounds (the extra large size). As it’s quite limited in terms of the weight it can carry, be sure to know your dog’s weight beforehand. For this dog car seat, you’ll definitely need a headrest for the seat of your car as it’s attached to it and hanging. The elevated seat definitely gives your companion that advantage of being high enough to see outside the window which can be a bit problematic for the smallest breeds otherwise. We like that the material is sturdy enough (if an appropriate dog is put there, of course) to hold your pup safely and comfortably above the “ground”. There’s enough room to lay down comfortably for these small breeds. A lot of folks, for some reason, seem to think it can be installed only in the front seat, however, that’s not true – the same can be done in the back seat if there’s a headrest to which the booster seat for dog can be attached, too. As we’ve implied before, it’s usually safer to have your dog in the back seat as the airbag in case of an accident can do a significant damage, especially, to smaller dog breeds. HM tip: Consider this a great cheaper alternative if you own a small dog that weighs less than 25 pounds. Here’s another solid option by Snoozer. One pro that is undeniable is the comfort of the warm, soft fabric… IF your dog is relaxed and well-behaved (meaning, doesn’t jump around all the time). Also, it’s mainly intended for sitting position as there’s not much room to stretch and lay down. There are two sizes and plenty colors to choose from. The strapping and the seat itself are sturdy, therefore, making the overall safety well-above average. However, given its price, we’d like to see more of the extras – more space and also the elevation. In longer journeys, your small companion might appreciate the chance to lie down. However, if that’s not the case and the dog enjoys watching the surroundings, then that might not be an issue to your crew. 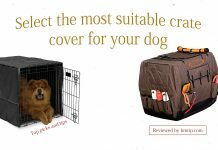 HM tip: Consider this a good choice if 1) you own a small dog who enjoys sitting next to you rather than laying down whilst traveling, 2) your dog is calm and would appreciate the warm, soft fabric this product provides. Unlike other products on the list, this dog car seat does not have a weight limit and is suitable for medium to relatively large size dog breeds. Because of its size, it can be installed in the back seat only, yet, that’s still better than if it was vice versa (there’s a front seat alternative for smaller dogs from the same manufacturer, however, we do not value as highly as others on this list). Safety-wise, it’s very solid having two belt loops and a durable strap. Comfort-wise, we’d call it decent. Decent enough to have your dog enjoying the ride with you. Also, given its size and sturdy material, the price is quite appealing too. If you’re looking for a car seat instead of a dog harness for a large dog (such as German Shepard; Great Dane or Newfoundland might still feel too restricted), this is the seat you should consider. HM tip: If you are insistent on getting a nice car “bed” (seat) for your large traveling companion, consider this one of the best car seats for large dogs specifically. 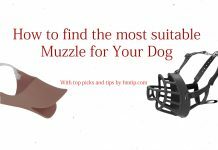 In fact, it can actually be used as a bed at home as well as the double-faced design warms your dog in the winter season and cools in the summertime. For the bedding, however, we’d suggest looking into sturdy high-quality dog beds. In most cases, we suggest putting the car seat in the backseat as the front seats in case of accident are more dangerous because of the airbags and the harm they can do to your pup. Also, remember that your car must have the usual safety belts to make a use of the dog booster seat in the salon. There you have it – 5 considerable options worth your attention when looking for the best dog car seat out there. As indicated above, if you own a large dog breed, such as Great Dane or Saint Bernard, you shouldn’t dream about putting your lovely beast into one of these booster seats – car harness for dogs is what you should be looking for. We might cover it in a separate article some time soon. Feel free to drop us a note or two, any inquiries you might have regards any topic of this site – we’ll make sure to do our best to get back to you as soon as possible.